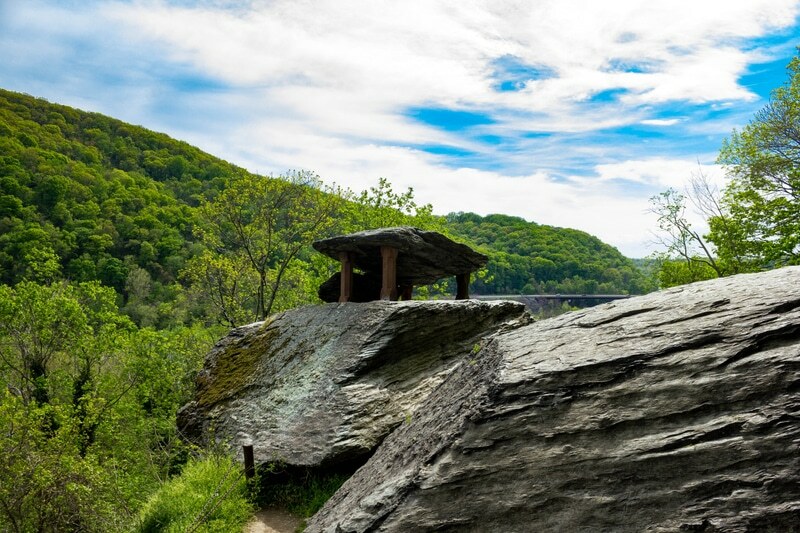 Harpers Ferry: Make a Day Trip out of D.C.! Cherry Blossom season in D.C. is absolutely delightful, but we know that the crowds can be hectic and chaotic – so why not take a day trip to Harper’s Ferry? D.C. has so much history, but the impact of Harper’s Ferry on history cannot be underestimated. Harpers Ferry is only a little over two hours away from American Guest House, a D.C. bed and breakfast. Harper’s Ferry has always been of a huge commercial significance in the region prior to the Civil War. Located at the intersection of the Shenandoah and the Potomac Rivers, the city was a major port and travel hub. 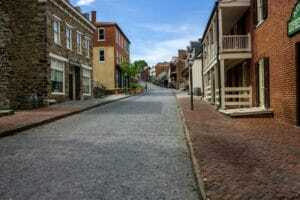 However, it was not until John Brown’s Raid on Harper’s Ferry that the town became synonymous with abolition. John Brown, a staunch abolitionist from Connecticut, was involved in many anti-slavery events, such as Bleeding Kansas. In particular, the Fugitive Slave Act, which banned providing assistance to fugitive slaves, angered him. His main ambition was to lay the groundwork to spark an insurrection that would end the institution of slavery in the United States. Brown was of the opinion that only violent conflict would rid American of the scourge of slavery. Thus, on October 16, 1859, Brown led an attack on the arsenal with five other men. His comrades included a freed slave and a fugitive slave. In cooperation with his conspirators, Brown took over several key buildings in the town, such as the armory and the arsenal. He had hoped to secure the weapons depot and arm slaves, starting a revolt across the south. However, the night ended in disaster. Upon discovering John Brown’s plot and attempting to warn slave owners, Heyward Shepherd, a freed black man, was shot by the raiders. Roused by the noise, Dr. John Starry confronted John Brown and his men. Starry confirmed that nothing could be done for Heyward Shepherd, and the raiders released him. Rather than return home, Dr. Starry rode through the nearby towns and alerted them to the raiders’ intentions. Not long after, local militias subdued and arrested John Brown and his men. The incident sent shockwaves across the country. The raid fueled southern fears that there was a northern conspiracy to end slavery. Meanwhile, some northerners felt that his behavior was too radical. Many in the North thought that slavery was no concern of theirs. For others, Brown was a martyr to the abolitionist cause. Ultimately, history would prove Brown’s prophecy correct; slavery would only be stamped out through the Civil War. The incident was so divisive and indicative of the gulf in attitudes towards slavery that many historians feel it set the country on the track towards civil war. Today, Harper’s Ferry is a picturesque town. The Harper’s Ferry Park Association today administers the various sites in the town associated with John Brown’s raid. Some of these sites include arsenal square, Harper House, and the ruins of St. John’s Episcopal Church. Many of the buildings standing today predate the Civil War and this is reflected in the architecture of the buildings. The entrance to many of the places in the town are free, and hour of operation vary from approximately 8 AM – 6 PM. To get to Harper’s Ferry, we recommend that guests rent a car for the day. Before heading out on your journey, we suggest our guests eat one of our delicious, warm breakfasts. Summer is coming, and we are booking up quickly in anticipation for D.C.’s high season. 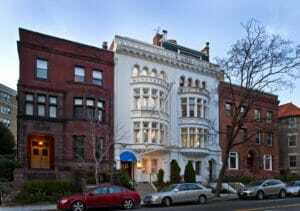 Don’t want to miss out on the opportunity to stay in our beautiful, centrally-located D.C. lodging? We suggest that you book now!